Information and Communications Tech­nology (ICT) and Business Process Out­sourcing sectors are two growing indus­tries in Fiji that have yet to achieve their full potential. 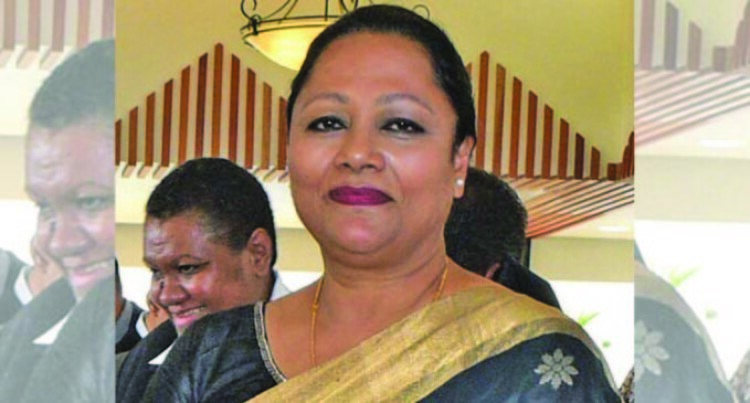 In an interview with SunBiz, Minister for Industry, Trade, Tourism and Local Gov­ernment, Housing and Community Devel­opment, Premila Kumar stated the need to explore and capitalise on this unrealised industries. Mrs Kumar added that under the Fijian Government, the focus would be on increas­ing exports and investments in value added products rather than just export of raw ma­terials. What are the primary goals that MITT has in place in terms of trade in Fiji? Support investment promotion and fa­cilitation aspects to attract both domestic and foreign direct investments with a view to stimulate investment flows into export-oriented areas in which Fiji has comparative advantages. This will also be used as a strat­egy for inducing innovation and technology transfer in the national economy. Which sector does Fiji have com­petitive advantage in and what does the Ministry have in place to help boost that specific area for 2019? Fiji has competitive advan­tages in sugar and other non-agri­cultural export, forestry, mineral water, textiles, clothing and foot­wear and mineral resources, ICT and business process outsourcing. vi) To facilitate capacity building development in human capital in all the priority sectors to ensure high level productivity. How can Fiji better capitalise on its relationship with its trade partners? Fiji has entered into Regional Trade Agreements (RTAs) with Pacific Islands Countries (PICs) such as, the Melanesian Spearhead Group Trade Agreement, Pacific Islands Countries Trade Agree­ment (PICTA), and with the Euro­pean Union (EU) Interim Econom­ic Partnership Agreement (IEPA). Fiji, with the Pacific Island Coun­tries, is also engaged with Austral­ia and New Zealand on negotiating a win-win PACER Plus agreement. To deepen regional integration and broaden guaranteed market access, Fiji will engage with other partners in the Asian Region. The Fijian Government remains committed to the success of re­gional integration and will seek avenues to broadening its guaran­teed market access base with like-minded countries. Additionally, China is one of the major global players. Trade ties between China and Fiji has been steadily growing over time. China is increasingly becoming an important trading partner not only for Fiji, but the region as a whole. Fijian products with export po­tential to China include; fisheries and related products, noni and pearl jewelleries among others. However, Fijian products are disadvantaged due to high tariffs faced by her exports to China. In this regard, Fiji is currently working on a feasibility study that will determine the way forward in terms of Fiji and China economic relations. How can local businesses be encouraged to participate more in export? Deployment of Trade Commis­sioners to potential markets to en­sure effective promotion of Fijian exports, whilst assisting and build­ing capacity in Fijian exporters to comply with the requirements of the importing countries;. Fiji’s World Bank ease of doing businesses in Fiji has been low over the years. Do you have any plans to improve this? The Fijian Government recog­nises the need to improve the business regulatory environment in Fiji and has been engaged in a number of reforms to enhance processes. The Ministry is currently review­ing and re-designing the Building Permits processes and procedures in partnership with the Singapore Corporation Enterprise (SCE). By mid this year, we expect to roll out a new harmonised application form with an online information portal that provides developers in­formation at one stop. The next stage of the reforms is working on the starting a business processes for which we will work on streamlining and re-designing the relevant processes. In addition to these, the ministry also worked with the World Bank Group’s Regulatory Reform team to undertake an audit of all the do­ing business processes. The ministry, with the relevant stakeholders will then work on ad­dressing the immediate reforms, and doing a work plan for the me­dium to long term reform plans. Ministry’s plans to exploit them? Fiji has strong potential in the ICT and Business Process Out­sourcing sectors. These are growing industries in Fiji that have yet to achieve its full potential. To maximise on other advan­tages, such as, having a young educated population, best commu­nication and IT technology in the Pacific, being the hub – in terms of trade, transportation, communica­tion and logistics, the Fijian Gov­ernment is working on a services. Manufacturing Zone in the West­ern Division. This Zone will provide “plug and play” facilities to investors and will have tailor-made incentives to attract the best investors. The Fijian Government is also focused on increasing exports and investments in value added prod­ucts rather than just export of raw materials. What are ways that the Ministry has in place to help address and control the trade deficit that is be­ing faced by the current economy? It is important to note that a trade in goods deficit is not necessarily a bad thing. It exists when a country cannot produce everything it needs, there­fore imports of those products from other countries. Currently, the United States owns the largest trade deficit by far, with a trade imbalance of over $7.3 tril­lion accumulated over the past few decades. Merchandise trade or trade in goods deficits may simply reflect consumer preferences and can raise a country’s standard of liv­ing as people gain access to a wider variety of goods and services at a more competitive price. A trade deficit also indicates that the country’s occupants are con­fident and economically sound enough to buy more than the coun­try produces. Fiji’s imports are largely made up of consumer products and invest­ment inputs. This is an indication of the fact that the economy is growing and there is increased investment and economic activities in the country, leading to increased demand for goods and services. We have a growing building and construction industry, which is contributing to the increased de­mand of imports. It is also worth noting that total trade deficit cannot be measured by merchandise trade alone. Over 70 per cent of the Fijian economy is services driven. Therefore, a good measure for trade standing is the current ac­count in the balance of payments figures. Trade in goods combined with trade in services and remittances provides a more accurate picture of our standing and whether we really have a deficit. Currently, the overall balance of payments position is stable due to the adequate support from tourism earnings, remittances and foreign financing of public and private sector projects. The foreign reserves are enough to cover 4.4 months of imports. Therefore, merchandise trade deficit is not a major concern. Apart from trade, what plans Ministry has in terms of Tourism? Tourism is increasingly recog­nised as an important future driv­er for economic activity in Fiji. The sector is increasingly mov­ing into a more complex period of its development and requires ap­propriate measures to ensure the potential of the sector is optimised as it grows sustainably. As such, the Ministry will con­tinue implementing key strategies as set in five-year and 10 year Na­tional Development Plan and the Fijian Tourism 2021 (FT 2021), a de­velopment plan that will guide the industry to achieving a $2.2 billion industry by 2021. We have already initiated a num­ber of initiatives in the beginning of the last financial year and will be implementing or continuing them in 2019. This includes creating closer syn­ergy between tourism and agri­culture following the study “From Farm to Tourists Table” and de­termining the economic value of Fiji’s cruise industry in efforts to grow niche sectors. Other focus areas include in­creasing community awareness and strengthening MSME partici­pation in the Fijian tourism indus­try. Therefore, it is important to cre­ate strong linkages between the tourism industry and the agricul­ture sector. The Ministry is also focusing on strengthening and creating ro­bust data collection mechanisms through the review of the Interna­tional Visitor Survey as well as the finalisation Hotel Data Collection System. This will allow us to have more ac­curate picture on the performance of the industry and enable stake­holders make more well-informed policy decisions. Furthermore, the Ministry, through Tourism Fiji, will contin­ue its efforts in promoting Fiji as a premier visitor destination and increase the demand of the Fijian brand in emerging markets such as India, China and Japan. Finally, we will continue working with the industry and key develop­ment partners in implementing other key initiatives under the FT 2021. Looking at the recent statistics by the Bureau of Statistics, visitor arrival declined for the month of the November by 0.2 pc as compared to 2017, what could be this reason? Firstly, the decline is a minor 0.2 per cent and looking at a single months’ data to determine perfor­mance may not be effective. The January to November period recorded an increase of 3.6 per cent when compared to the same period last year. It should be noted that earnings from the tourism industry is grow­ing year-on-year at a faster rate than the growth in visitor num­bers. The industry has recorded $648.9 million earnings from January to September 2018, which is an 8 per cent increase compared to the same period last year. For this same period, arrivals grew at an estimated four per cent. These are the measures that show that the industry is perform­ing well and will continue its up­ward trajectory in terms of yield which has been the Government’s objective. To bolster the growth of the tourism industry and to focus on the quality of tourism, whereby we are able to increase yield and grow the industry sustainably, the Fijian Tourism 2021 provides key strategies and deliverables for the Fijian Government and the indus­try. The Fijian Tourism 2021 provides moves the industry from the “busi­ness as usual” through initiatives that will create increased invest­ment in the industry. What are some of the major upcoming projects that the ministry has in place for 2019?